I really do hate being the bearer of bad news but it’s hard to avoid in the world of professional golf at the moment. When I learned from a source in the golf industry that the prize fund was to be cut in the Race to Dubai, the European Tour’s $20 million pot of gold it put on offer in 2007, I was hardly surprised. The Race to Dubai has not turned out as George O'Grady had planned. Leisurecorp, the company behind the original concept, has pretty much been taken over by parent company Nakheel - which is more concerned about taking care of its debt than a glamorous golf event. 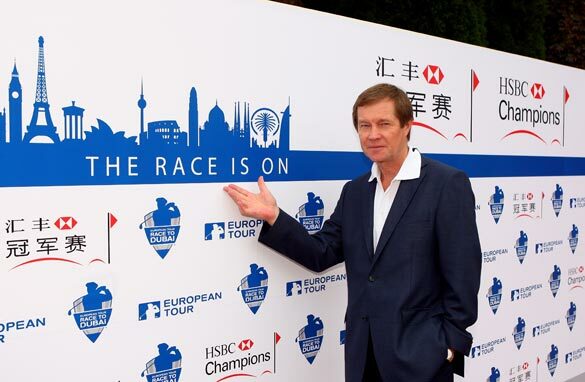 I think European Tour CEO George O’Grady, whom I have met and interviewed several times and found to be an extremely intelligent and dedicated man, must be seething. The initial deal was for the Race to Dubai to be locked up for a minimum of five years with an option to extend - it was a defining moment for the European Tour. They had the world’s richest golf tournament in the palm of their hands! Finally, the Tour had some serious clout in order to attract big name players to the circuit away from the PGA in the U.S., but it all banked on Dubai sticking by its agreement - which all looked good before the credit crunch hit home. The Tour re-branded itself on the back of the deal and moved its international headquarters to Dubai. But now O’Grady will announce a serious back track after months of negotiations failed to get Nakheel excited about pouring such vast sums of money into a sporting event. Leisurecorp has hemorrhaged – it has laid off staff, reduced prize money at another tournament it runs (the European Open) and its property portfolio in Dubai is in the dumps. The Race to Dubai was another example of the Emirate wanting to put its name on everything where they could boast was the biggest and the first – but sadly on this occasion it hasn’t worked and many people in the wider game of professional golf will be hurting for a long time.